The Lost Valley offers a unique window into the cultural heritage of The West of Ireland. Indeed it is in itself, arguably the finest memorial of The Great Famine that remain today. 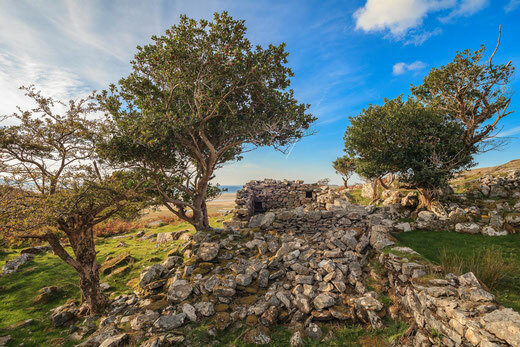 Visit the ruined famine village and see the multitude of potato ridges that have lain undisturbed and unattended for nearly two centuries. As The Lost Valley is now an active working farm, visitors can experience life on the farm with pet lamb feeding, a working sheep dog demonstration and a sheep shearing demonstration in season on request. R.T.E. program "Ear To The Ground" where Gerard talks through the history of the valley. 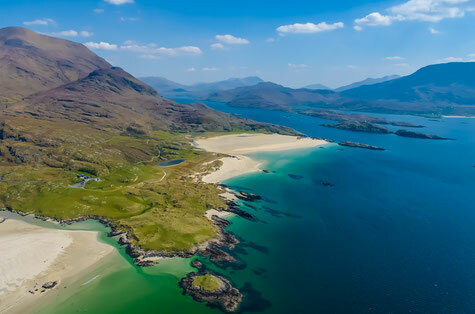 Being part of "The Wild Atlantic Way" the Lost Valley is a destination that allows you to visit other stunning places along the way. 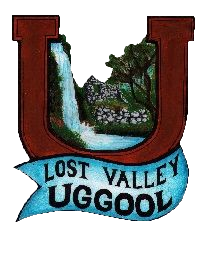 We had the pleasure of visiting the Lost Valley this summer as a large family group. It was absolutely fantastic. Living history brought to life with insight and respect for the area and the people who lived there. Everyone of us, young and not so young, learned so much and enjoyed it immensely. I couldn't recommend it enough to anyone with an interest in Irish history and social development. The delivery was knowledgeable, objective and very informative. The valley is visually spectacular and completely unspoiled. We hope to do it again next year so that we can absorb even more information as well as more of the spirit of the place. Definitely a must for everyone.